Toyota Prius 2017 is simply breathtaking and eye-catching luxury sedan car. 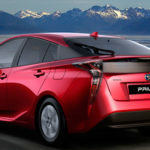 Prius has legacy of being World’s first mass-produced hybrid car which comes with unrivalled innovation and class. 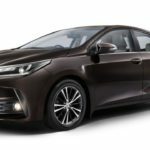 Indus Motor Company Limited (Toyota Pakistan) has launched a new Toyota Prius 2017 in Pakistan. With its sharp & confident design, ergonomic & spacious interior, proven performance and advance safety features, Toyota Prius 2017 is simply the best car of its class available in local Auto Market. 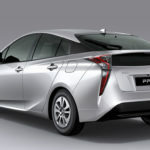 Here you need to clear one thing that here we are reviewing and talking about the locally manufactured Toyota Prius and not about the Japanese imported Prius which is very common in the market. The beautiful car comes with “2ZR-FXE (Atkinson Cycle Engine)”, In-Line 4 Cylinders, 16 Valve DOHC, Chain Drive (With VVT-i), 1798cc engine. Its automatic transmission system is impressive based on CVT (Continuously Variable Transmission). 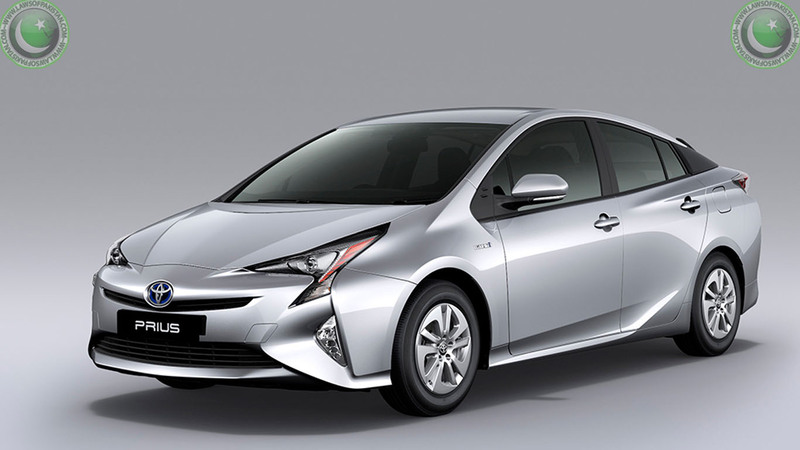 Toyota Prius 2017 has 1.8 Liter gasoline engine, motor generator and power split device. The power split device is integrated with the engine motor and generator, this function as an electrically controlled continuously variable transmission. Hybrid Synergy Drive (HSD) is revolutionary technology which combines highly-efficient gasoline engine and powerful electric motor. The Hybrid Synergy Drive delivers feel-good seamless acceleration, together with exceptional fuel efficiency and low emissions. 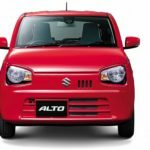 The mileage of this car is simply astonishing as it provides around 20 km/L in busy urban road and around 30 km/L on highway. 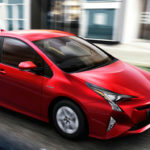 At starting and driving at constant speed in low and mid-speed ranges the New Toyota Prius only uses the motor electricity from the batteries of the car. At normal speed the system intelligently controls the engine and motor output for optimum fuel efficiency. In nutshell that innovative hybrid technology provides mind-blowing fuel economy and peace of mind to the owner. 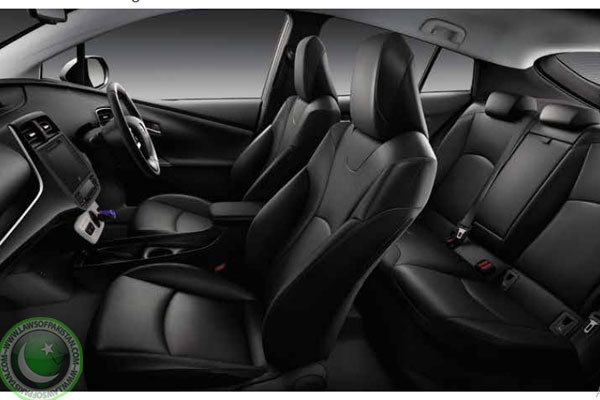 The new Prius has spacious interior which is ergonomically designed for comfortable driving. It has really impressive keyless entry & start function which provides hassle-free experience. The electronic key allows locking and unlocking of any door by simply gripping the door handle. To start the engine simply push down on the brake pedal and activate the start button. 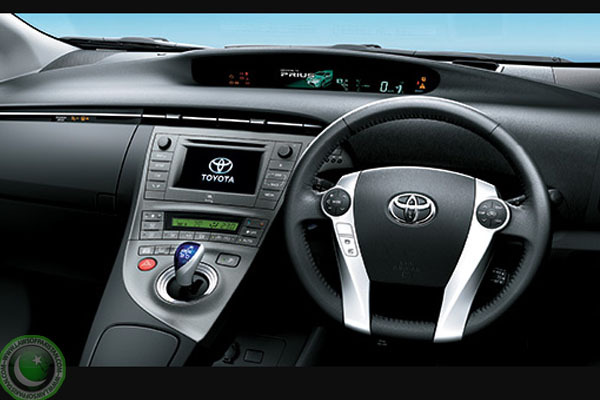 Prius comes with sporty and stylish steering wheel which provides effortless control and driving experience. The steering wheel has multi-functional switches on it which means you don’t have to take your hands off the steering wheel. Cruise Control system of new Prius is also impressive as it automatically controls the speed of the car. All you have to do is to set the speed and system take over the throttle of the car to maintain the speed. Cruise Control System greatly enhances the comfort in steady traffic conditions, like Motorways in Pakistan. 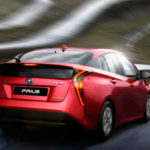 Air-Conditioning system of New Prius is simply awesome as it has Smart Aircon System which controls and regulate the temperature automatically. This intelligent climate control system provides optimum comfort to the passengers and driver. New Prius 2017 comes with latest Toyota Touch System. It is sleek tablet style seven inches screen with drag and flick controls that houses an advanced audio system compatible with smartphone. The 7 Inch screen is like high quality tablet which can also run HD DVD’s and other media. 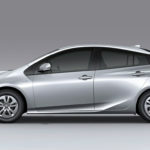 You can also connect a portable music device and enjoy your favorite music over the Prius’s Speakers along with power outlet that lets you re-charge your electronic devices. Prius 2017 has very stylish digital tachometer and MID. The modern MID provides info on a variety of vehicle functions and systems, including fuel consumption history, average fuel economy, distance to empty, average speed, trip distance, energy monitor, Hybrid System indicator and ECO saving record. Through this MID you have compete monitoring control of your vehicle and its performance. 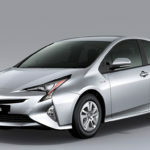 Drive Mode Switch of Toyota Prius has advance design and modern functions. You can switch between Normal, ECO, Power and EV modes to suit your driving style. In power mode, an adaptive system gives you a sporty acceleration/deceleration feel. ECO mode is for those who want to have maximum fuel economy. Normal Mode intelligently controls the vehicle’s economy and power and gives you ultimate driving experience. 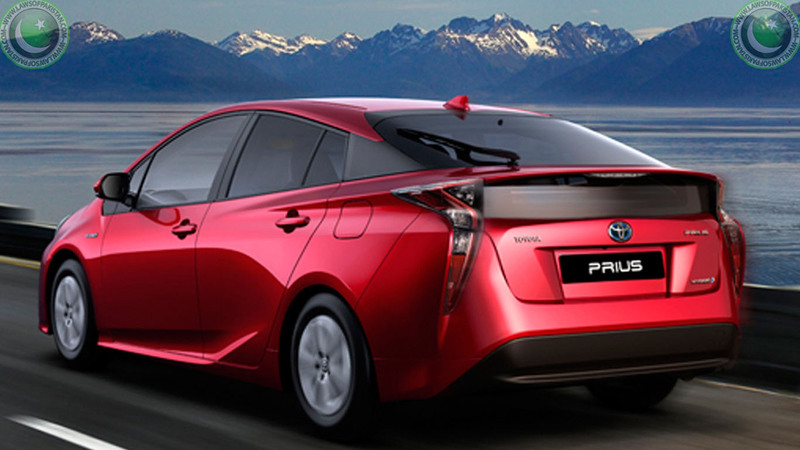 New Toyota Prius has sharp and confident design with bold exterior that can mesmerize anyone on the road. It has LED Headlights with enhanced night visibility and modern sporty. Further it has Front Fog Lamps and day time running lamps which are integrated into the lower grille for an unmistakable sporty look. 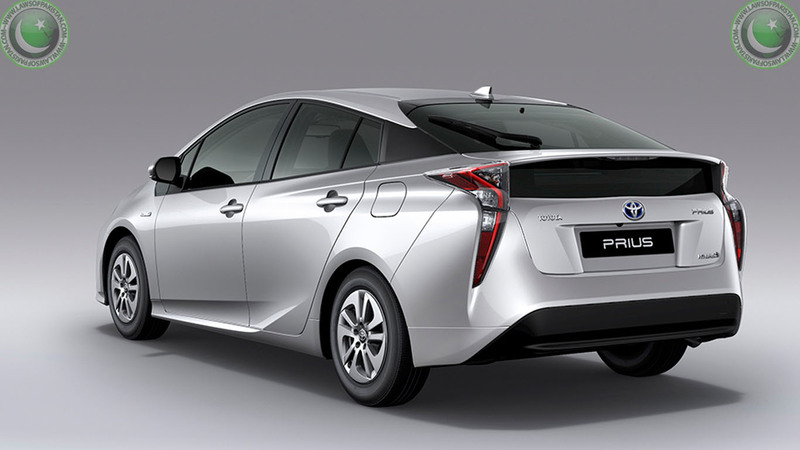 New Toyota Prius has trapezoidal LED rear combination lamps along with LED rear fog lamps. The eye-catching back lights not only provide excellent visibility in low lights but also consumes less power. 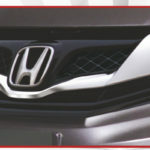 Coupe-like roof lines & side creases not only provides fusing energetic style but also superb aerodynamic performance. The low-slung platform creates a spacious cabin with generous headroom and ample luggage space. Its Aero-stabilizing Fins are air resistant. 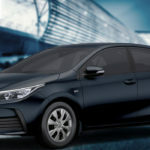 They are situated on the wing mirrors and rear combination lamps, the fins have been strategically designed to reduce air resistance, thus improving aerodynamic performance. 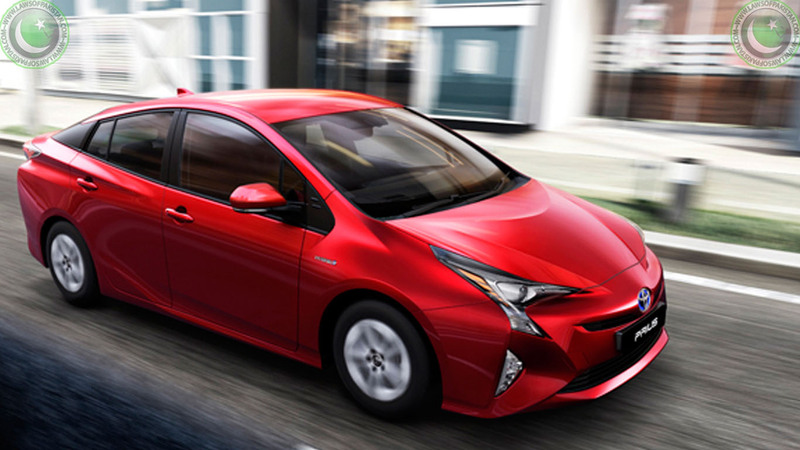 Prius 2017 has 15 inch RIM size with lightweight aluminum wheels. The wedge-shaped design of the super lightweight aluminum wheels delivers super aerodynamic performance along with sporty looks. 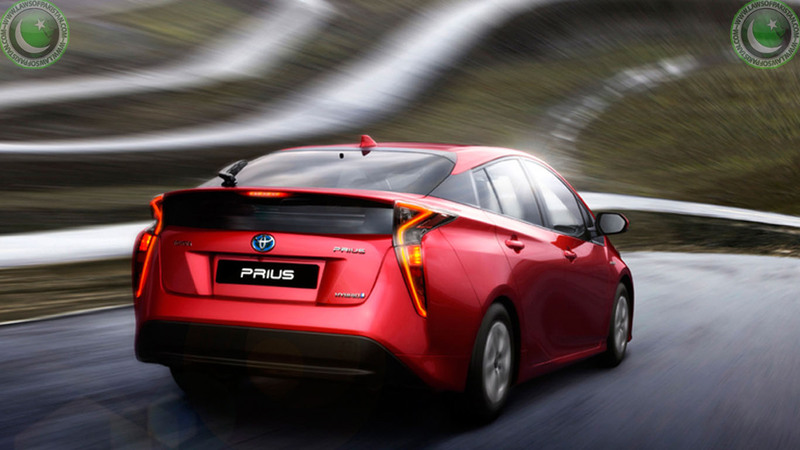 New Prius has all the safety features which you can imagine in any modern car. It provides SRS Air Bags protection to everyone in the car. 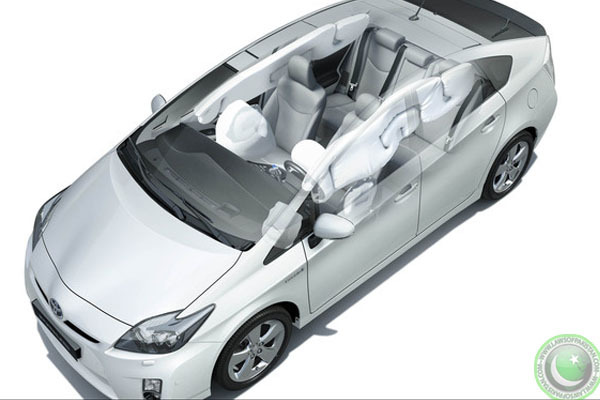 Upon collision, 6 SRS airbags deploy in milliseconds to minims the impact on driver as well as all passengers. It only comes in one standard variant and New Toyota Prius 2017 is available in Rs.4499,000. In the following gallery you can watch or download the latest wallpapers and pictures of this beautiful car. May i please ask you to comment on our Madiha? I n my view she will beat any in this world. 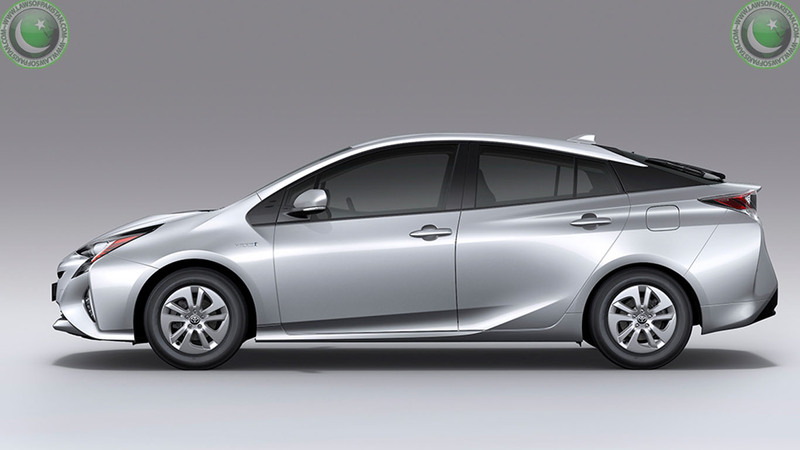 The Prius 2017 is stated to employ wedge-shaped design of the super lightweight aluminum wheels. Are they not same as Aluminium Alloy wheels?